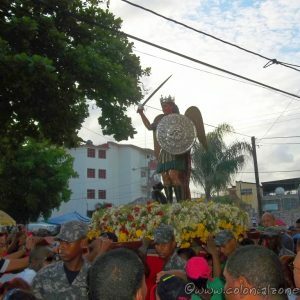 The Festival San Miguel is held yearly to celebrate El Patrono Arcángel San Miguel / The Patron Saint Archangel St. Michael, the Archangel is the patron saint of the Dominican armed forces. 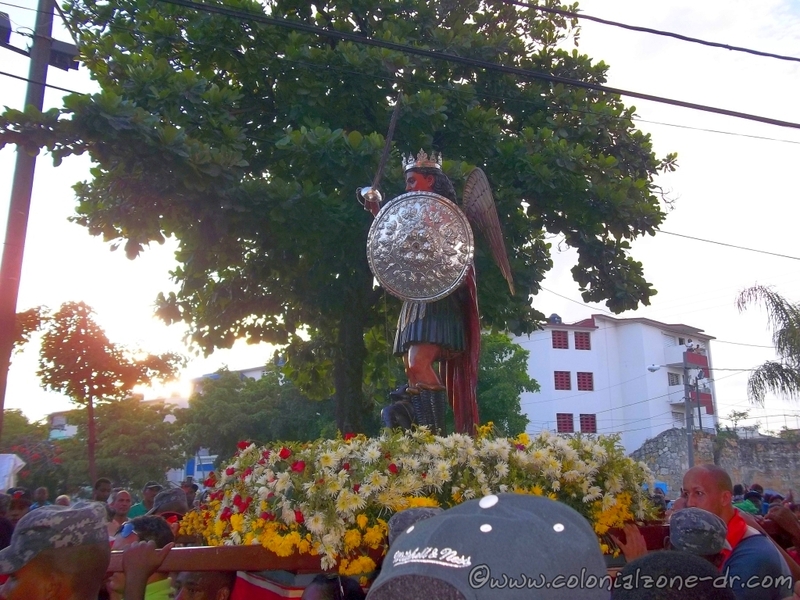 Festival San Miguel. 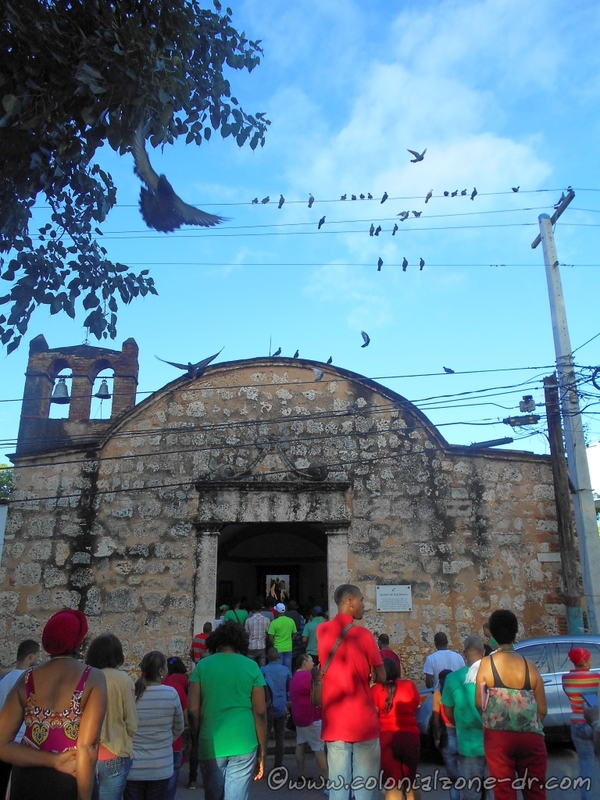 Service at Iglesia San Miguel at 7AM. 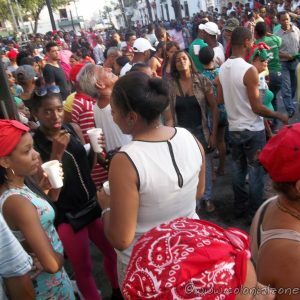 The celebration for the Arcángel San Miguel can get a little crazy. 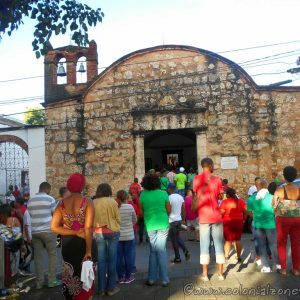 The entire area around the Iglesia and Parque San Miguel is full of people. 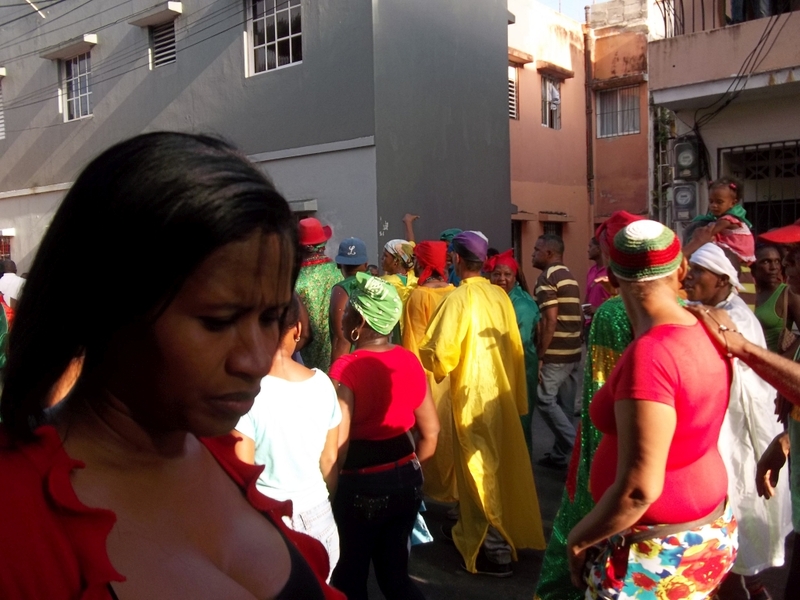 Many are dressed in the traditional red, green and yellow clothing. The smell of cigar smoke is everywhere, clouds of smoke billowing, as this in another tradition of the festival. 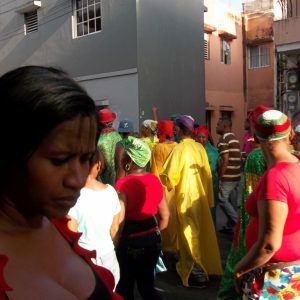 Festival San Miguel- traditional clothing red, green and yellow. 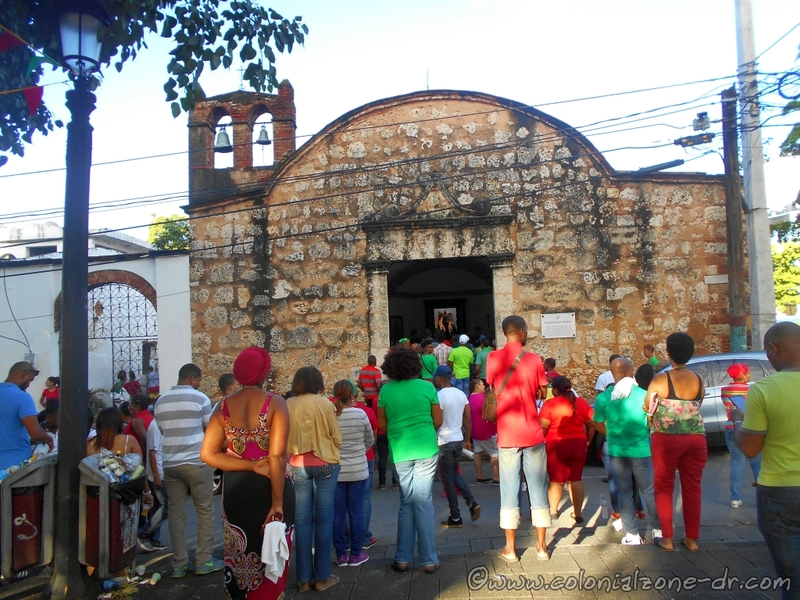 The festival starts early in the morning with a service in the Iglesia San Miguel. Roads are closed and vendors have their tables set up. 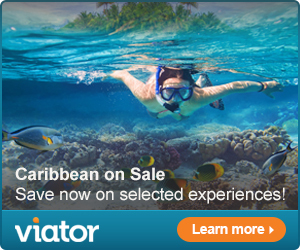 They sell red and green candles, silk flags and clothing, cigars and more. 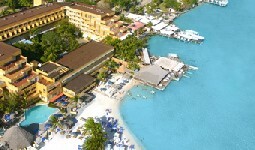 The Colmados are stocked full with beer and the traditional rum that many enjoying the festival partakes of. 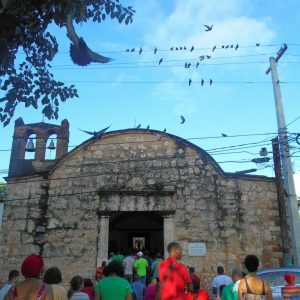 Festival San Miguel. Service at Iglesia San Miguel at 7AM. Pigeons participating too. 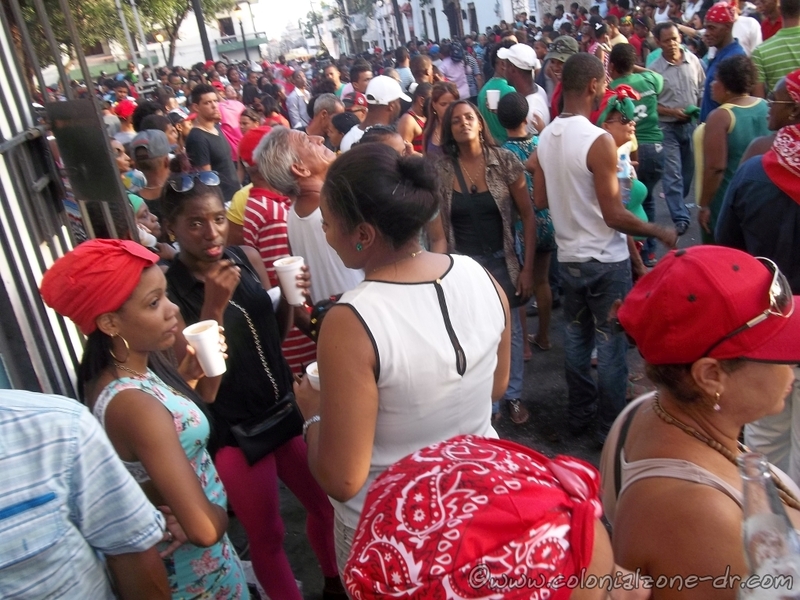 Festival San Miguel- People fill the streets of the San Miguel sector of the Ciudad Colonial. 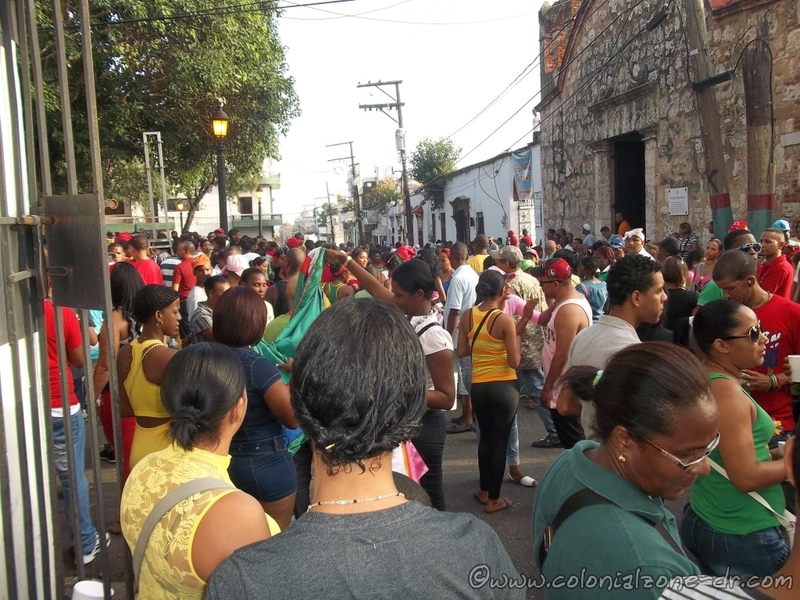 Some Palos music and streets filled with people at the Festival San Migual in San Miguel, Zona Colonial. 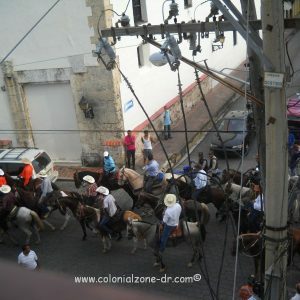 There is a celebration with horses from all over the country. 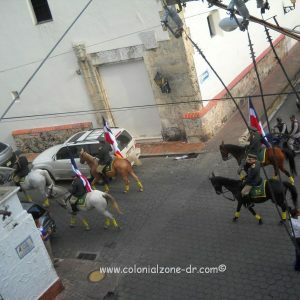 These horses, both private and military, ride through the streets of the Colonial Zone and up to the festival. Festival San Miguel. 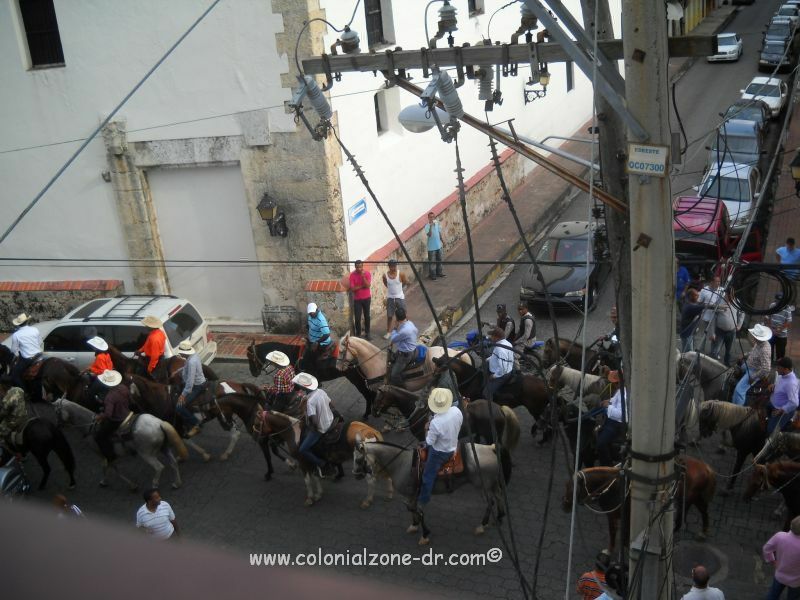 The horses heading to the Festival. 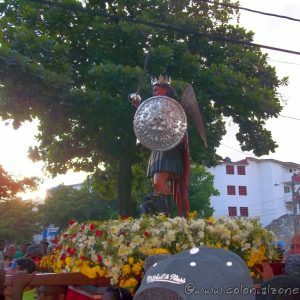 Festival San Miguel. The Military Horses are heading to the Festival. 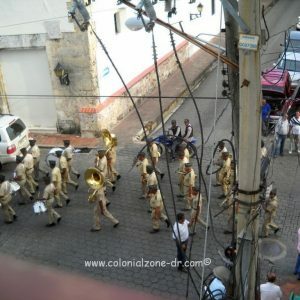 The military band takes part in this important festival. 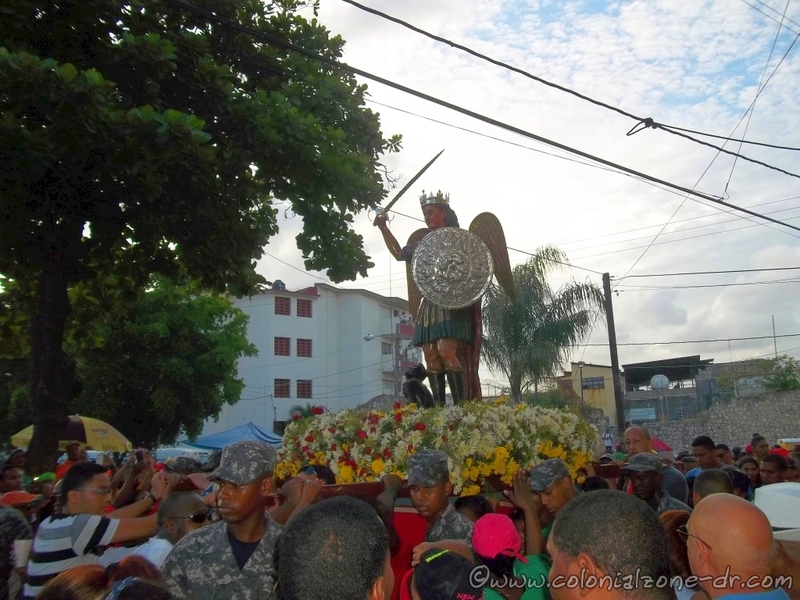 Since San Miguel is the patron Saint of the Armed Forces they have a big presence in the festival. 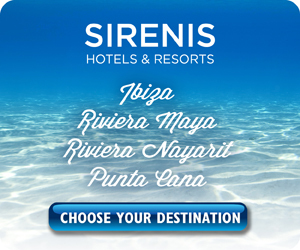 They not only participate but they also are there in force to make sure people do not get too crazy. 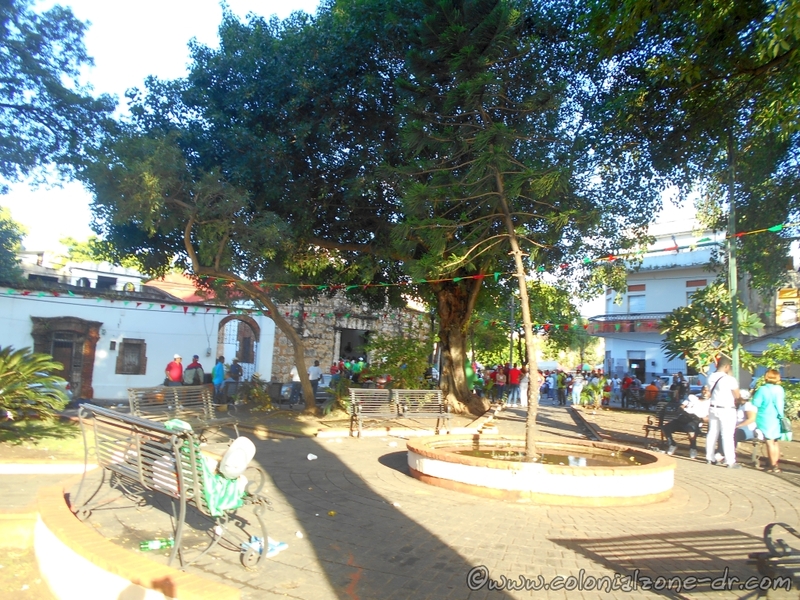 Festival San Miguel. 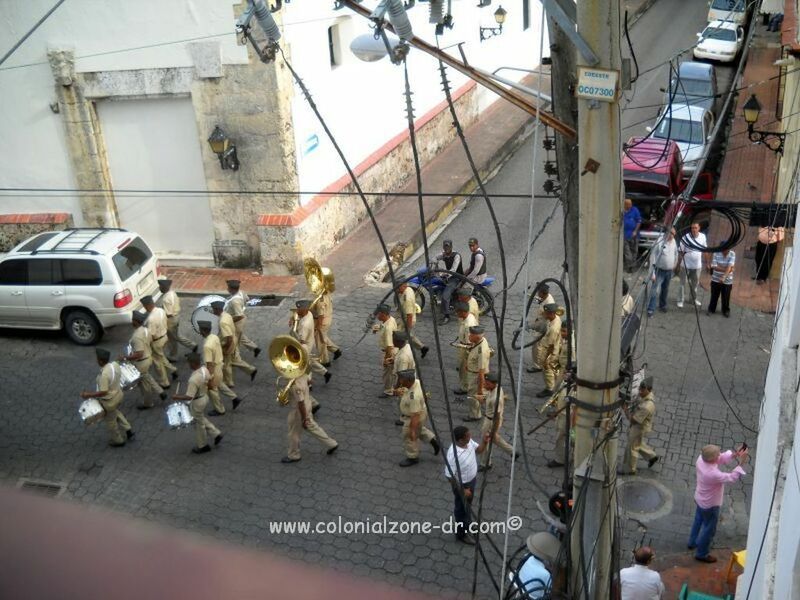 The Military Band is heading to the Festival. 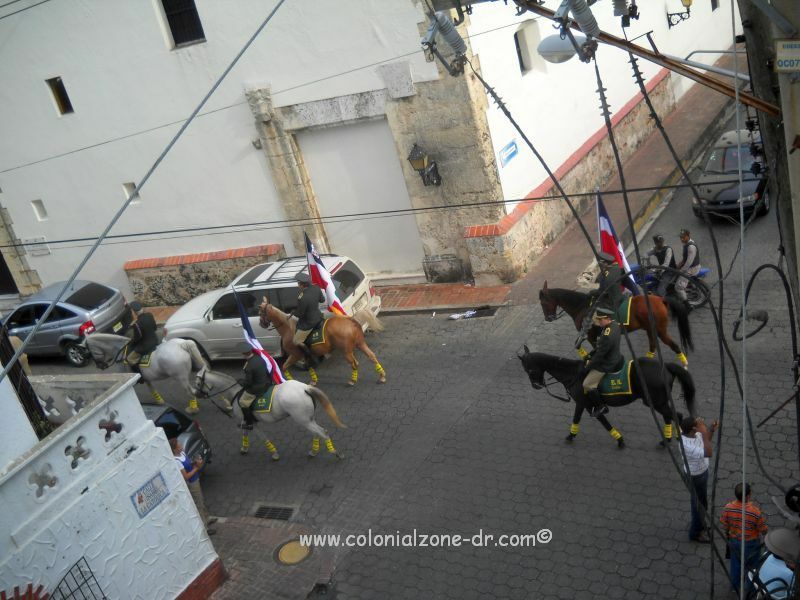 This is a video of the Military Band and The Horses heading to the festival through the streets of Ciudad Colonial. 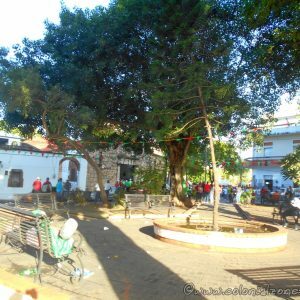 The park where most of the activities happen is on Juan Isidro Perez and Jose Reyes in the San Miguel Sector of Ciudad Colonial. 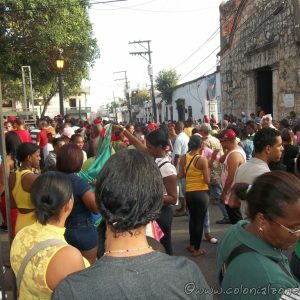 Festival San Miguel- Parque San Miguel, Santo Domingo, Republica Dominicana at 7AM.